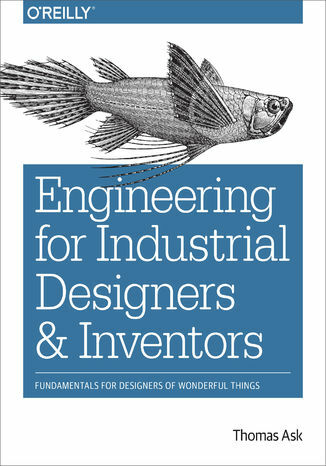 If you have designs for wonderful machines in mind, but aren...t sure how to turn your ideas into real, engineered products that can be manufactured, marketed, and used, this book is for you. Engineering professor and veteran maker Tom Ask helps you integrate mechanical engineering concepts into your creative design process by presenting them in a rigorous but largely nonmathematical for mat.Through mind stories and images, this book provides you with a firm grounding in material mechanics, thermodynamics, fluid dynamics, and heat transfer. Students, product and mechanical designers, and inventive makers will also explore nontechnical topics such as aesthetics, ethnography, and branding that influence product appeal and user preference.Learn the importance of designing functional products that also appeal to users in subtle waysExplore the role of aesthetics, ethnography, brand management, and material culture in product designDive into traditional mechanical engineering disciplines related to the behavior of solids, liquids, and gasesUnderstand the human factors of design, such as ergonomics, kinesiology, anthropometry, and biomimicryGet an overview of available mechanical systems and components for creating your product Ebook porusza temat Engineering. Jedną z istotnych spraw poruszanych w ebooki jest: Industrial. Jeśli interesuje Cię: Designers, to ebook dla Ciebie. Dużo wiedzy na temat: Inventors w formacie EPUB, MOBI i PDF. Hasło przewodnie tego ebooka to Fundamentals. Jeśli szukasz ebooków o: Designers, to jest pozycja dla Ciebie. Dogłębna wiedza na temat Wonderful. ISBN 978-1-4919-3256-8. Porównywarka cen ebooków, które dostępne są w formatach PDF, MOBI i innych. Na urządzenia Kindle i inne. Tutaj znajdziesz ebook, którego szukasz. Nie wszystkie ebooki w ofercie są darmowe. Wspierajmy autorów i kupujmy ebooki.